Dougall Ave. is one of the main routes through Windsor. This connects the Detroit-Windsor Tunnel to Ontario's Kings Highway 401,via Ouellette Ave. It also quickly connects ON KH 401 to the E.C. Row Expressway. Dougall Ave. intersects the following major highways in Windsor. E.C. 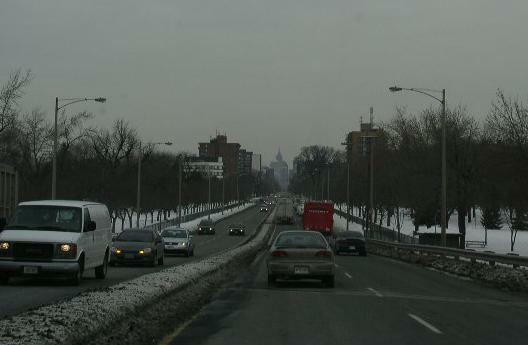 Row Expressway, in Windsor. Ontario's Kings Highway 401, near Windsor. A guide marker on the ramp from NB E.C. Row Expy. Looking WB on Dougall Ave. in Windsor.